Color	Pantone color chart with soft enamel, silkscreen printing, offset printing by paper sticker or epoxy coating surface. 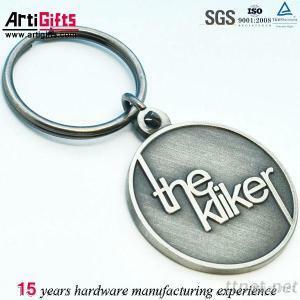 Keychain type	Metal keychain,PVC keychain,acrylic keychain,leather keychain,led keychain,couple keychain,etc. Logo style	laser, engrave, screen printing, offset printing. Others	Samples charge as mould charge and freight for samples will be on buyer's expense. Delivery Way - Date Of Delivery: Samples:5-7days ;7-25days after receive your order confirmation.